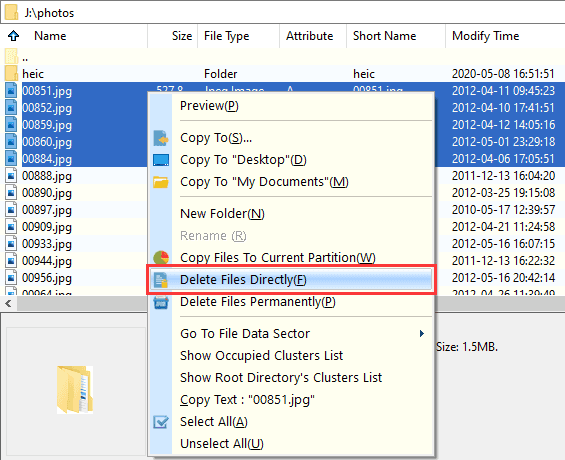 This feature is designed to forcefully delete files and folders that cannot be deleted by Windows in normal way. It skips file system driver and deletes files via writing disk directly, thus it is able to delete files on any partition except system partition. Step 2 Click "Delete" button to give confirmation. Note: DiskGenius deletes files directly from disk regardless the file access mechanism of operating system. Improper deletion may cause application error or system crash.